You may not get to see any of the talented musicians from Texas take the field during the halftime show or sing the National Anthem at the 2017 Super Bowl despite the game being held in Houston, TX. But leading up to the big game there will be a big gaggle of worthy Texas musicians taking the stage as part of the Super Bowl LIVE experience that stretches out a full nine days before the game itself, and is FREE to attend most days. And accomplished it they have. 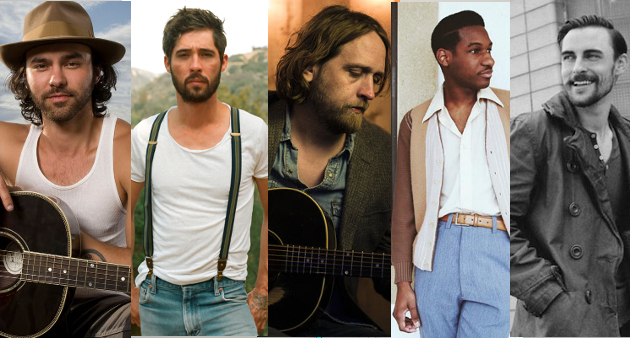 Hayes Carll, Ryan Bingham, Shakey Graves, Leon Bridges, Robert Ellis, and Gary Clark Jr. are some of the names of Texas artists from the country/Americana realm that will be participating, but all genres and styles are represented in the Super Bowl run up festivities. It’s a commitment to local artists not always seen a major national events such as this. There will be two stages as part of Super Bowl LIVE, with the main stage located in front of the Toyota Center in the city block bordered by LaBranch, Clay, Austin and Polk Streets, and the second stage will located in Discovery Green near the George R. Brown Convention Center. Full schedules can be found below. 7:30 p.m. – Gary Clark Jr. This is pretty cool and a good opportunity for Houston to start rebuilding it’s musical reputation. In the past I have defended Houston, (theft ring), but it really is kinda sparse music wise. There is always something going on, but for me it did seem like a lot of artists skipped Houston last year. Or not really skipped, but played one show here, went abroad, came back to Texas and hit everywhere but Houston (Cody Jinks, Whitey Morgan, Sturgill Simpson all did this). Wife & I really want to see Ryan Bingham, but I know it’s gonna be a madhouse around downtown. Thanks for highlighting this event, we love our Tx artists here. Hopefully, they get some of the exposure they deserve. That’s just great, but where is Miranda Lambert. Where are the women of Texas? I think Solange Knowles would be fairly surprised to know that she isn’t a woman of Texas (several female TX artists are on here….you just don’t recognize them). There are actually many women in the lineup. Just none of them fell within the country realm, which is fine. Don’t have a problem with organizers trying to represent all genres of Texas music. The reason you don’t see Miranda Lambert, Maren Morris, etc. is because most all of these participants except for a few on the final weekend are independent, smaller artists. Miranda Lambert would cost as much as 20 of these artists combined, if not more, and overshadow them. The point here is to highlight the Texas talent that usually gets overlooked (and is cheap enough to keep the event free). Lyric Michelle, Sarah Jaffe, Ingrid, Sherita Perez, Julia Cole….Little Outfit..Say Girl Say and of course Solange being the biggest get. All from Texas. Great representation for female Texas artists. Miranda is actually playing rodeo March 7, right? I think it would piss of rodeo committee or whatever if she also played Toyota concert or free at discovery green. Yes you’re right, I apologize for the false information. I wasn’t sure hence the question mark, for some reason I thought I read her name on there and saw the March 7th date and didn t double check. Miranda played it last year. She was the only female and only Texas artists. That might have been where the wires got crossed. Either way, I don;t fault them for not putting her on the lineup. Perhaps she should have been given a shot for the halftime or the National Anthem, but these opening festivities are for artists that regularly get overlooked, and good on the organizers for including them in this event. Think the national anthem wouldve made sense. She’s done God Bless America already though (w/Blake). Don’t think she’s a big enough name for the main artist at the halftime show though. Small nitpick but Ryan Bingham isn’t a Texas artist. I would consider Ryan Bingham a Texas artist on many levels. He was born in Hobbs, New Mexico, which if you’ve ever been to Hobbs (which I have numerous times) right on the Texas border, you know it’s basically West Texas. He was raised in West Texas, also lived in Ft. Worth and Laredo, and he went to High School in Houston, which is where his tie to the Super Bowl comes from. I know he lives in California now, but he was very much a product of the Texas scene coming up. I would consider him a Texas artist before I would consider him anything else. Well I’ve always thought as west Texas (like El Paso) to be more similar to New Mexico. But New Mexico still has great and some unique music here (some of the bands sound similar to Texas musicians) and a lot of our unique music that is sadly ignored likely cause most the country thinks we and far west Texas are still northern Chihuahua. El Paso is more like New Mexico, just like Hobbs/Clovis/Roswell/Carlsabad is more like Texas. In my opinion of course. Despite living in Rome, Italy i’ve seen Ryan Bingham live many times over the last 10 years and i believe he’s been growing weaker and weaker lately(musically speaking). Mighty orq are a blast! Too bad they didn’t include Jackie Darlene.